Trained accountant Harpreet Garcha, who ran property lettings franchises Belvoir in Kettering, Desborough and Corby, was investigated by Northamptonshire County Council’s trading standards team after a landlord made a complaint about being overcharged for routine maintenance at her rented home in Kettering. Upon querying the cost of safety checks she was provided with invoices for £502.50 – but these were fakes as the contractor doing the work had only charged £166.25. The court heard how Garcha, 39, fraudulently generated significant profits at the expense of tenants and landlords, whose properties he marketed. To disguise the practice, he set up a second, sole trader, business called Kettering Property Maintenance (KPM) which the contractors would invoice. KPM would then appear on the landlords’ monthly statement with the inflated cost. The investigation found he had made about £200,000 by dishonestly increasing the cost of maintenance and safety work. This amounted to a mark up of about 30 per cent. 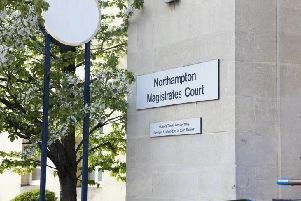 Garcha, of Bath Road, Kettering, admitted two counts of fraudulent trading, two counts of money laundering, five counts of insurance fraud and one offence of VAT fraud, committed between 2008 and 2012, at a hearing in November. Two further counts of mortgage fraud were left to lie on file. He was also convicted of providing false invoices to HMRC to reclaim VAT on business expenditure, making false statements in insurance claims on behalf of landlords which resulted in unjustified county court judgements against former tenants, and contempt of court for breaching a restraint order made under the Proceeds of Crime Act 2002. He was sentenced today (Thursday) at Leicester Crown Court and his sentence includes two-and-a-half years for the fraud-related offences and three months for the contempt of court offence, to run consecutively. He has also been disqualified from acting as a director for nine years. Cllr André González de Savage, county council cabinet member for strategic infrastructure, economic growth and public protection, said: “This investigation by Northamptonshire trading standards officers revealed a shocking level of deceit to defraud tenants, landlords and various other parties. Trading standards is now conducting a financial investigation under the Proceeds of Crime Act with a view to seeking a confiscation order. New owners took over the Belvoir franchises in 2014. Belvoir Property Management (UK) Ltd, the franchisor, is not the subject of any action relating to this case.